We are the Prime Manufacturer and Exporter of a superior quality range of Seed Processing Machinery, Seed Treater Machine, Paddy Separator, Seed Cleaning Machine, Seed Grading Machine, Seed Processing Plant and much more. 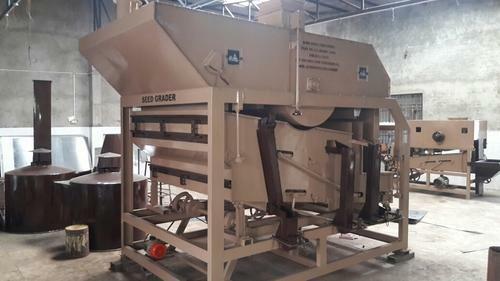 We are offering our valuable clients a high quality range of Seed Processing Machinery, Seed Treater Machine, Paddy Separator, Seed Cleaning Machine, Seed Grading Machine, Seed Processing Plant and much more. These machines are designed and manufactured by our experts using supreme class raw material keeping in mind international standards. The offered machines are highly acknowledged by our clients for their attributes like durable finish standards, reliability, excellent performance, energy efficiency and robust construction. Our clients can avail these machines from us in different specifications at the most affordable price.